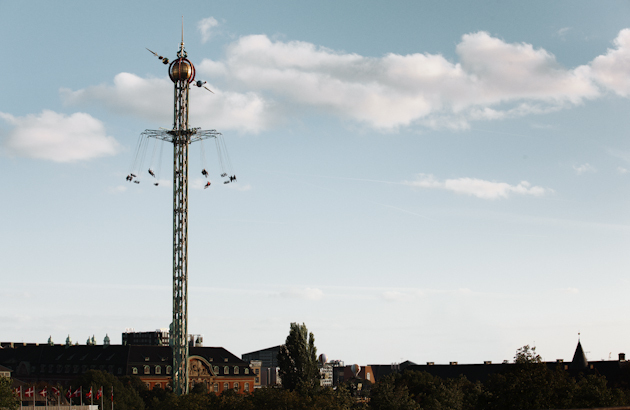 With an impressive height of 80 metres, the Star Flyer can call itself one of the highest carousel in Northern Europe. Dare you let yourself go on it? 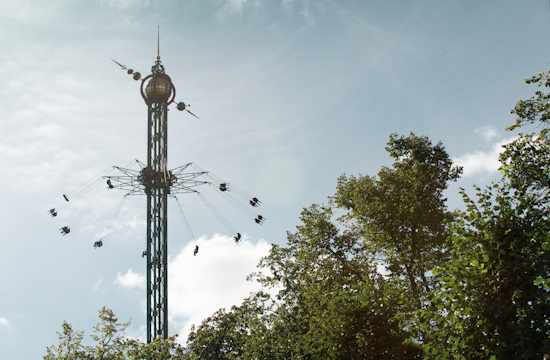 The Star Flyer is a combination of a high-view attraction and a classic swing-carousel, with both the thrill of excitement and the sensation of flying. The ride is themed, featuring Tycho Brahe's universe with planets, quadrants, zodiacal armillaries, telescopes and astronomical symbols. In the evenings the Star Flyer is illuminated, and forms a visual attraction together with the rest of the illuminations in the Gardens. Children between 120 and 140 cm must be accompanied by a paying adult (minimum 14 years).